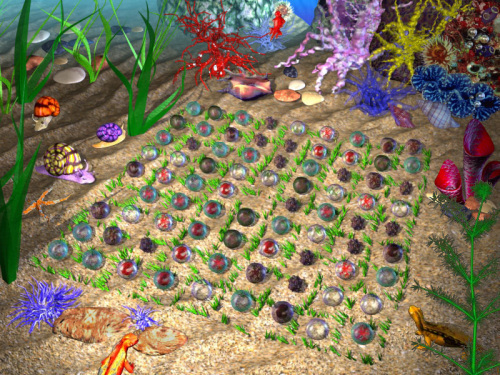 The purpose of the game is to hatch as many young mudskippers out of their eggs as possible. But the Mudskipper like any other species can often get sick. The egg of the mudskipper has three ages and each age has three different stages of illness. As the illnesses develop all the eggs gradually grow dim and dark. or diagonally by five or more eggs of the same age with the same stage of illness. It's nice to see a new puzzle gameplay idea.